Cars was probably my son’s all-time favorite Disney film ever. He is seven years old now but he still LOVES the characters, the movies, the video games, and all things CARS. He still owns tons of stuffed animals (Mater being my favorite) and has posters plastered on his walls. I don’t know a boy who doesn’t like this movie and with the CARS 2 coming out in 3D and IMAX 3D it is sure to be a blockbuster. 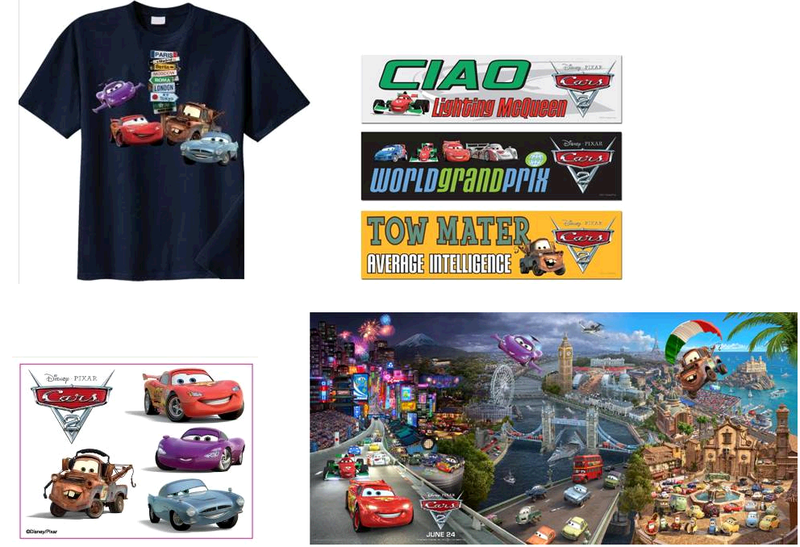 Now your son or daughter can be super cool with this exclusive giveaway featuring CARS 2 products such as bumper stickers, a shirt, puzzle, and temporary tattoos (examples above). To enter please leave a comment in the comment section letting me know which character is your favorite or your child’s favorite. Are There Additional Ways To Earn Entries? Star racecar Lightning McQueen (voice of Owen Wilson) and the incomparable tow truck Mater (voice of Larry the Cable Guy) take their friendship to exciting new places in “Cars 2” when they head overseas to compete in the firstever World Grand Prix to determine the world’s fastest car. But the road to the championship is filled with plenty of potholes, detours and hilarious surprises when Mater gets caught up in an intriguing adventure of his own: international espionage. 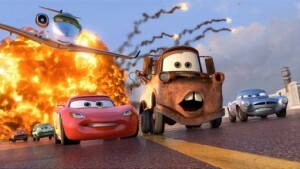 Mater finds himself torn between assisting Lightning McQueen in the high-profile race and towing the line in a top-secret mission orchestrated by master British super spy Finn McMissile (voice of Michael Caine) and the stunning rookie field spy Holley Shiftwell (voice of Emily Mortimer). Mater’s action-packed journey leads him on an explosive chase through the streets of Japan and Europe, trailed by his friends and watched by the whole world. The fast-paced fun includes a colorful new all-car cast, complete with menacing villains and international racing competitors. My son loves Mater. He talks about him all the time! my daughter says mator is her fave! Lightning McQueen is my favorite. I follow Cars on fb. I follow DisneyPixar on twitter. Me and my kids love Mater! He likes the tow truck named Mater because it is Larry the Cable guy’s voice. My daughter’s favorite character is Lightning Mcqueen. Lightning McQueen is definitely Lucas’ favorite! He lights up when he sees him! 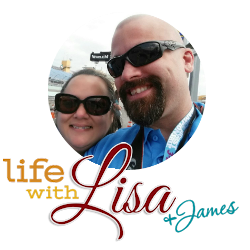 Already following you on GFC as Atlanta Military Mom.